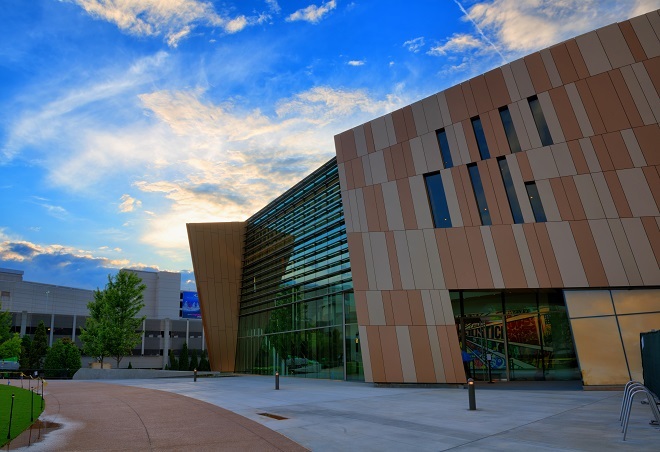 The National Center for Civil and Human Rights connects the American Civil Rights Movement to today’s Global Human Rights Movements. The Martin Luther King, Jr. Collection gallery features a rotating exhibition of items from The Morehouse College Martin Luther King, Jr. Collection, where visitors can view the personal papers and items of Dr. Martin Luther King, Jr. Currently on display is "The Meaning of Hope: The Best of the Martin Luther King, Jr. Collection," which celebrates some of his best-known works. BONUS: Thanks to a grant from the Coca-Cola Foundation, admission to the Center is FREE during the entire month of February. Details here. Here you can tour where Dr. King was born, raised, worshiped and died. Free to all, visitors can tour King's birth home, Historic Ebenezer Baptist Church, the exhibitions at the Visitor's Center, and the King Center's grounds, including the crypt of Dr. and Mrs. King, Freedom Walkway, and the Reflecting Pool. Throughout February, Historic Oakland Foundation hosts free guided walking tours of Oakland Cemetery’s African American Grounds. Stops along the tour include the final resting place of some of Atlanta’s black history pioneers, including Carrie Steele Logan, founder of Atlanta’s first orphanage for African American children; William Finch, one of Atlanta’s first African American city councilmen; Bishop John W. Gaines and Julia A. Gaines, pastor and First Lady of Big Bethel A.M.E. Church; and Maynard Jackson, Atlanta’s first African American mayor. Learn more and book your spot here (tours will fill up!). This community amenity always boasts a robust event calendar, and Black History Month is no exception. In February, stop by the library for a selection of ongoing exhibits, film screenings, panels, and community engagement discussions regarding the Civil Rights Movement, the African Diaspora, race, identity, and much more. A museum “where every month is Black History Month,” APEX presents history from the African American perspective. They achieve this through three permanent exhibits, “Africa: The Untold Story, “Sweet Auburn Street of Pride” and “The MAAFA (The African Holocaust).” Open five days a week, make a visit to APEX part of your exploration of the historic Sweet Auburn district. During the month of February, CMA is highlighting African American artists and scientists who have made significant contributions to the world in which we live. From the Art Studio to the Build It! Lab, children will enjoy hands-on exploration as they learn about men and women who were pioneers in their fields. To celebrate Black History Month throughout the month of February, the Hall is offering BOGO (buy one get one free) admission to all HBCU students. Just say “HBCUBOGO” at the box office anytime during February. Must show valid student ID. To celebrate African American players and coaches during Black History Month 2019, the Hall will host a two-part speaker series honoring one Hall of Fame player and one Hall of Fame coach who forever impacted the game. In addition to the speaker series, The Hall will have four temporary display cases dedicated to Black History Month college football artifacts, and one of the four cases will feature Eddie Robinson artifacts. Learn more. During the final weekend the month, enjoy an energetic and celebratory event that will begin in Hurt Park and conclude at Centennial Olympic Park Drive and Baker Street. The parade will be bookended by a festival and ceremony, which will feature speakers, performers, vendors and more.